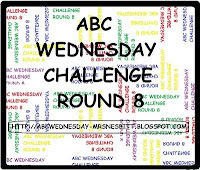 So I was thinking of what to post for ABC Wednesday and remembered that it's Tuesday today, so what do you think? We were totally busy these days, I thought for sure that I would have much time blogging because my daughter is off from school already but I was wrong. We are always outside doing some lawn work, gardening, and playing. Ms. Burrito picked this in my garden and gave it to her Teacher as a Thank you for being a great teacher to them. Since I don't have a perfect T photo, I will just share this lovely white peonies for you to enjoy. See the raindrops on the second photo? That would be my entry for Watery Wednesday weeee. What pretty peonies! I'm trying to remember if I've ever seen white ones. ha! I NEVER get blogging time when the daughter is home. pretty white flowers sis..visiting from WW..see yah around! My peonies will be out in another few days! I love the colour of yours, and the water droplets add to their beauty! looks like you had a very busy Tuesday, Tokaya. I love that white poeny. nice shot! What wonderful raindrops on the beautiful white peony! yay! sis, thank you for joining again!! so happy to see you here. ang ganda ng white flower! flowers have such a soft spot in my heart! see you next week sis! Beautiful flowers in your garden. You get your sweet reward for gardening when your flowers start to bloom. Thanks for the post. God bless you all always. Lovely flowers to share! My WW entry is up too! Thanks and see you around. anyway, my first white entry is up. very beautiful peonies. never noticed them here in Pinas. sweet naman your kiddo. We had some lovely red peonies but I haven't seen white ones before. Oh such a pretty flowers there madam. Happy WW! Mine is up.